Whether you need a new window or a new engine, you will find auto parts in Woodbridge, VA at Hendrick Honda Woodbridge. We are a proud vendor of genuine Honda parts and accessories made especially for your car. We carry the highest quality of new and reconditioned auto parts Woodbridge, VA car owners can find. 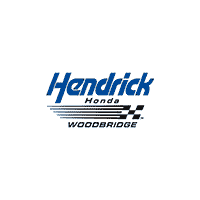 Open 6 days a week, the parts experts at Hendrick Honda Woodbridge will ensure you get the right part for your vehicle at the best price without the need to shop around. We stock many common auto parts in our parts warehouse. If we don’t carry your specific part, we can order any part necessary with many arriving next day. Coming soon, Hendrick Honda Woodbridge will offer an online parts ordering system allowing you to find the right part for your Honda and have it shipped nationwide. Just another way Hendrick Honda Woodbridge is committed to your automotive service experience. In addition to our auto service, we also offer a complete line of automotive repairs. Once you have your auto parts, you can trust Hendrick Honda Woodbridge to install them. Our experienced ASE certified mechanics will gladly install your auto parts with all work guaranteed by Hendrick Honda Woodbridge. Finding the right auto parts in Woodbridge is easy and convenient at Hendrick Honda Woodbridge. Call our parts department today at 877-604-6201, or schedule service today!